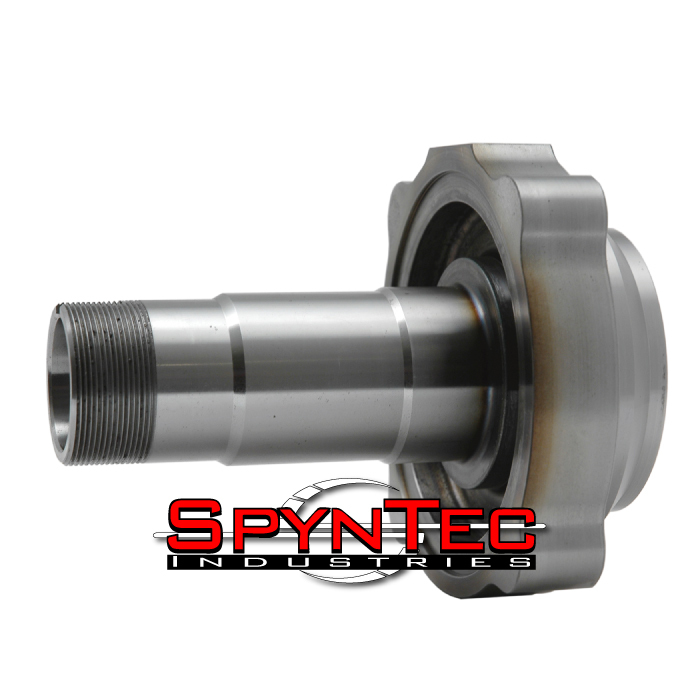 In our continued pursuit of excellence, SpynTec™ Industries is releasing a new line of fixed spindle conversion kits for the 00-13 Dodge 2500 and 3500 model trucks. When we set out to design the final word in unit bearing replacement, we first wanted to understand the weaknesses of the original equipment found in your vehicle. Automobile manufacturers have taken away your ability to maintain your 4×4 by moving to the planned obsolescence of the unitized bearing front end. When the OEM bearings fail, you and your truck are literally stranded until you can replace them, or incur the high cost of towing to your local dealer. SpynTec™ kits start with new premium chromoly hub and spindle forgings. Your ABS functions are retained with the combination of a gear cut tone ring that is integral to the design of the hub, as well as our spindle design that encompasses the factory ABS sensor mount and sealing surfaces. When installed, your ABS system is now completely sealed from the harshest on and off highway environments. 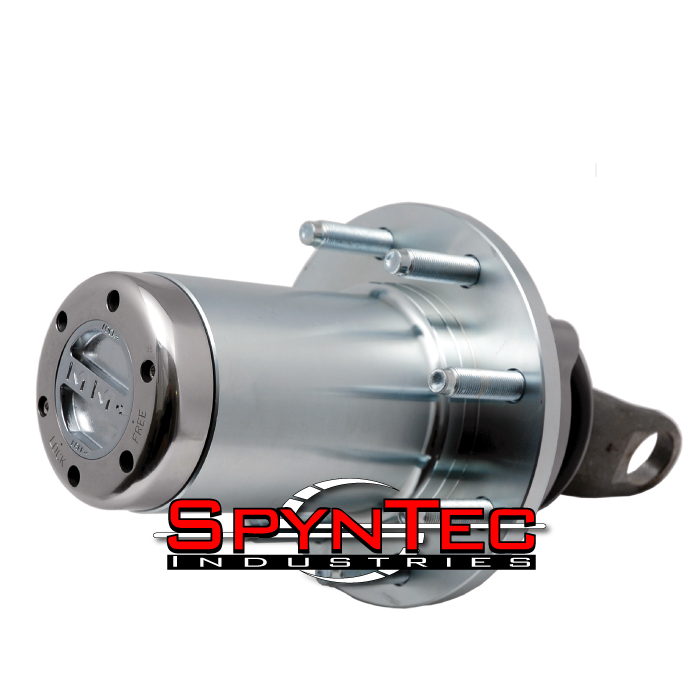 All SpynTec kits utilize such names as Timken, SKF, Chicago Rawhide, and Spicer. Whether you rely on your vehicle for work or play, you can’t afford to be sitting still due to an unfortunate bearing failure. 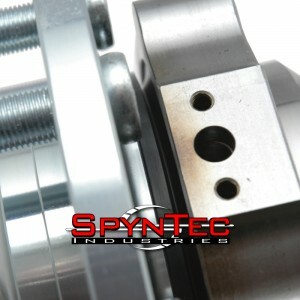 SpynTec™ Industries understands this and has answered with the SpynTec™ line of unit bearing conversion kits. 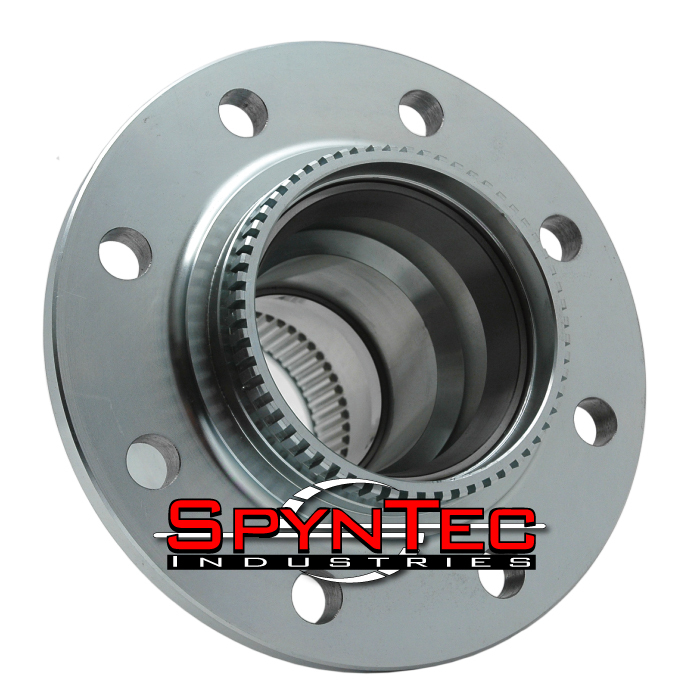 There are similar kits available on the market, but none with the forethought of a SpynTec™ hub conversion kit. All of our kits were engineered from the ground up from raw steel forgings to the finished product with maintainability, durability, and safety in mind. You’ll notice we didn’t start off with some random spindle and adapt it to work with our kit. Yes, we could have simply welded or bolted on a block to a re-drilled spindle and called it close, but our customers expect more out of our products and their trucks. Our integral sensor mount and sealing surfaces are paramount in what makes our spindles the best. You’ll also see companies using a cast iron hub with a pressed on tone ring. Our hubs were engineered as steel forgings with critical components such as ABS tone rings gear cut into the hub. We’ve gone the extra mile in manufacturing our kit, so your truck can do the same. There are no compromises at SpynTec™ Industries. • As always, SpynTec™ conversion kits fully seal the ABS sensor and tone ring from contaminates on and off road. • Forged hubs with gear cut ABS tone ring. • Forged spindles with integral ABS sensor mount.